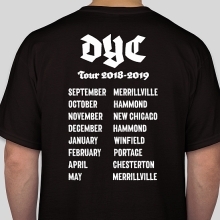 This year, we’re taking DYC on the road, with tour stops in New Chicago, Hammond, Winfield, Portage, and Chesterton! It’s an attempt to be a little more geographically fair to all reps (and those that drive them). See schedule below. Due to a number of ministry and/or holiday reasons, there are many meetings that are not on the “traditional” 3rd-Sunday of the month. Please mark calendars ASAP. For AY 2018-19, we will try something new. We will rotate our meetings to various locations throughout the diocese. Lake County teens and parents, we’ve been spoiled over the years, but this year you should be prepared to travel a little farther east, out of fairness to our Porter, La Porte, and Starke County reps who travel west a lot for ministry! If bad weather is threatening on the day of a meeting, I will leave a message about any cancellations on the outgoing message of my voice mail at the office. Call 219-769-9292. When asked, press in my extension number: 229. DYC TEXT LIST SERVICE: I am using REMIND for DYC communications: a service some of you may already being using. It is used often by schoolteachers. Forgive the school language (eg “class,” “teacher,” etc). To join the list, Text the message @garydyc to 81010. I will use this service to send meeting reminders, cancellation notices, etc. Remind is a free, safe, and simple messaging tool that helps teachers share important updates and reminders with students & parents. Subscribe by text, email or using the Remind app. All personal information is kept private. Teachers will never see your phone number, nor will you see theirs. Visit remind.com to learn more. If you use Facebook, you are invited to join the DYC Facebook page. It is a closed group, so I’ll have to approve you (facebook.com/groups/garydyc), but I usually do that within a day or so. FOOD: Please make sure you eat lunch before your arrival. For all meetings you are invited and encouraged to bring snacks to share. REPORTS: Come prepared with clear, concise reports. “I don’t know what’s going on” is not a good report. You represent not only a youth ministry, but a parish. There’s probably something going on in your parish! Permission forms are not optional. I will be cracking down on missed forms. I don’t like to issue them any more than you and your parents like having to complete them, but they are a part of your participation. Not only are you mailed a copy, but they’re available online too (see above). No excuses. “Excused absences” are absences reported to me one week in advance. “Each member is expected to notify the Office of Youth Ministry at least one week before the meeting if he/she cannot be present and why. If a member has more than one unexcused absence she/he may be removed from the council.” IF YOU AREN’T AWARE OF CONFLICTS MORE THAN A WEEK IN ADVANCE, YOU NEED A BETTER CALENDAR! You don’t have to be an adult to use a calendar! It’s one of the most important skills you can learn as a leader: high-achievers (and many of you are!) tend to take on many projects and commitments. Being a responsible leader means avoiding scheduling conflicts whenever possible, and when it’s not possible to avoid them, to give plenty of advance notice. Having a calendar helps you do that. If you have a smart phone, you have a calendar program- use it! Most email programs have them integrated with smart phones (Google’s is excellent), and there’s always good old-fashioned paper! If you are applying for scholarships, college admission, etc., be sure to list your DYC involvement. Religious involvement- especially religious leadership- is very appealing to many acceptance boards. I am always happy to complete any letters of recommendation, etc. for you. Just give me what you need. You should be meeting with your youth minister(s) at least once a month, to ensure that there is a flow of information back and forth. If you know you cannot make a significant portion of the meetings, please contact your youth leader ASAP about finding another rep. No need to apologize, we’d just rather have another teen who can attend more regularly. The Diocesan Youth Council is an advisory body to the Diocesan Office for Youth & Young Adults (OYYA). It is a group of high school-aged youth who represent the parishes and Catholic high schools in the Catholic Diocese of Gary. The members of this body will advise the Office in two ways. First, they act as a spokesperson for the needs of youth in their parishes and schools. Second, they are an integral part of the planning and implementation of youth activities that encourage and support total youth ministry in the diocese. The Youth Council will consist of two representatives from parishes and Catholic high schools throughout the Diocese. The Pastors, Principals and Youth Ministers of each of the respective parishes and schools are asked to collaboratively select two young people to represent them on the Youth Council. The following characteristics and qualifications will be expected from those chosen to serve on the Diocesan Youth Council. · Attend all Youth Council gatherings. Each member is expected to notify OYYA at least one week before the meeting if he/she cannot be present and why. If a member has more than one unexcused absence she/he may be removed from the council. · Participate in and promote diocesan activities and events sponsored by OYYA. · Assist in the planning and implementation of Diocesan Youth Ministry activities, including assuming leadership roles at diocesan middle school events. · Serve as a communicator for OYYA in spreading information about various programs throughout the year. · Coordinate and encourage youth ministry efforts in parishes and schools. 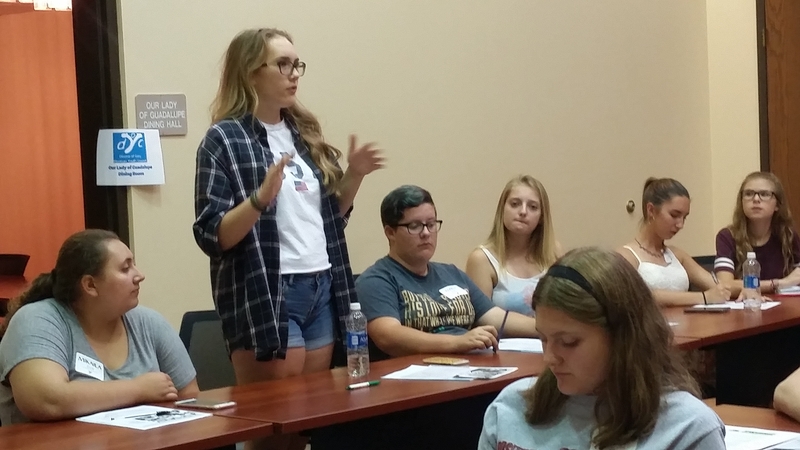 · Meet with adult youth leaders at least once a month to discuss DYC agenda items. 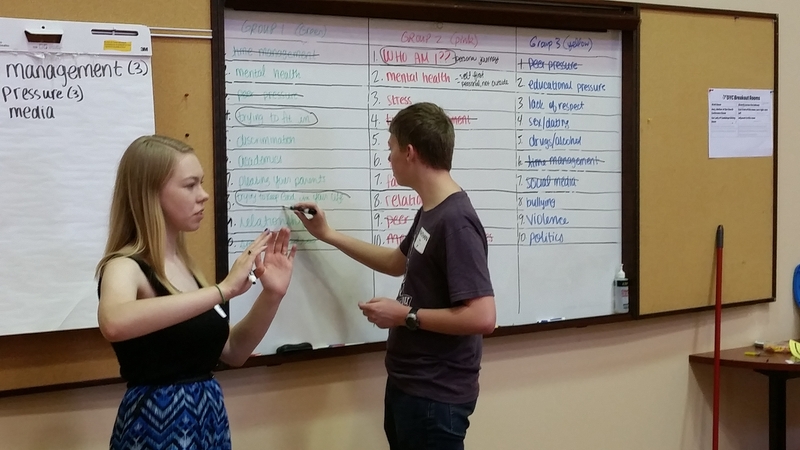 Each member of the Diocesan Youth Council is accountable to the Coordinator of the OYYA. 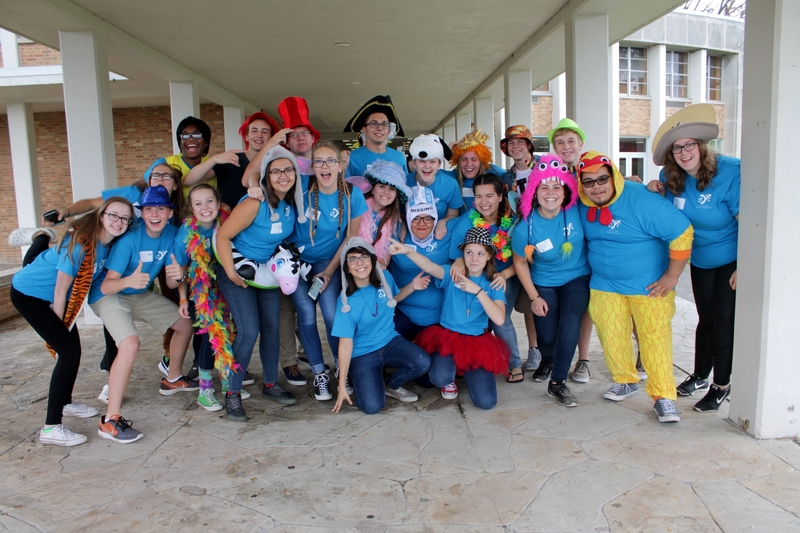 What is the Diocesan Youth Council? The DYC is an advisory body to the Diocesan Office for Youth & Young Adults (OYYA). It is a group of High School teens who represent the parishes and Catholic high schools in the Catholic Diocese of Gary. The members of this body advise the Office in two ways. First, they act as a spokesperson for the needs of youth in their parishes and schools. Second, are an integral part of the planning and implementation of youth activities that encourage and support total youth ministry in the diocese. How often does the DYC meet? Roughly once a month. Most often the 2nd-to-last Sunday of the month, but not always. What happens at the DYC meetings? Each month is a little different, but generally each meeting includes: prayer, introductions and ministry updates, updates on diocesan & other programs open to anyone, leadership skills development/exercises, etc. Guest speakers present various approaches to Christian Catholic leadership development. Teens will also be empowered to use their leadership & ministry skills at various youth ministry activities, including but not limited to the annual Grásta Dé! middle school youth ministry day. How should parish leaders select DYC reps? I leave that up to the parishes! I encourage adult youth leaders to read the DYC bylaws to get a feel for the expectations of DYC reps. OYYA does not select your two reps- parish/local youth leaders do! I encourage prospective reps to submit the Information Sheet to OYYA when reps have been selected. These Information Sheets are not “applications,” per se, but may be used as a tool for parish youth leaders if you have more than two youth interested in “applying” to serve on DYC. How many reps can we send? Each parish can select up to two reps. It’s important to remember that the representative represents the entire parish/school, not just the youth/campus ministry, so if your youth program draws from multiple parishes, the rep should focus first on the one (s)he represents. The representative should be registered to that parish as well. How long is the DYC term? We will accept newcomers at anytime, and we will honor our outgoing seniors in May of any given year. However, it is up to parish leaders to determine how long their reps serve. My recommendation is that parishes select reps to serve one or two year terms, starting in September. You may also wish to “stagger” your terms somehow, to make new reps feel more comfortable in the future. To whom is the rep accountable? During DYC gatherings, reps are accountable to the Coordinator of the OYYA (Kevin Driscoll), who will facilitate the meetings. Another youth ministry coordinator is also present during meetings (including usually Mr. Joe Kern, DYC liaison). Reps will receive monthly mailings that include permission forms for the next gathering that they are required to submit to OYYA. Reps’ YMC is also cc’d a copy of this mailing. Each rep is required to meet with their parish’s key youth ministry adult leader at least once a month to process the monthly meetings, events, etc. Parish youth leaders are always welcome to attend DYC meetings, although never required. What do I do now? Youth leaders, start by discerning parish reps, or develop a system for them to apply if you think you’ll have more than two interested leaders. Print out the bylaws to give to anyone interested, and print out Information Sheets to submit to OYYA. You can email scanned PDFs, or fax those sheets to 219-738-9034. Remember there is no “start” to DYC, so if you do not have reps yet, we will welcome them in at any time! 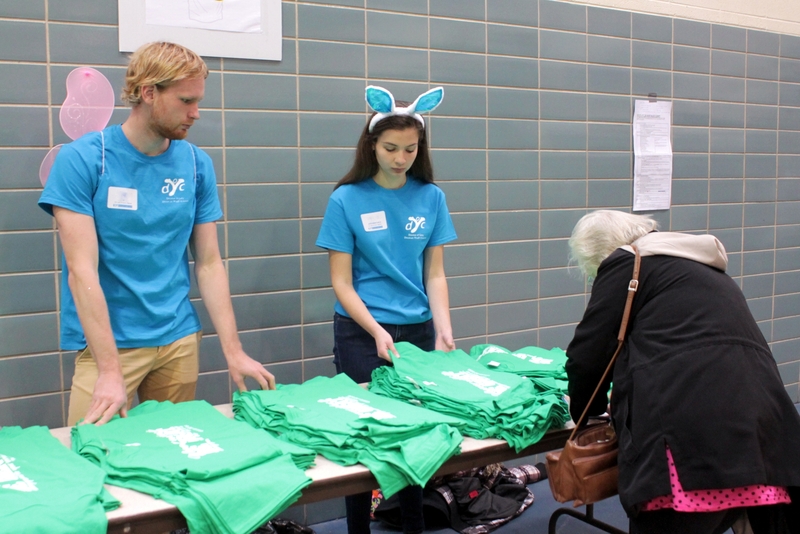 Teens, if your parish/ministry is not represented on the DYC, ask your youth leader if you can serve!